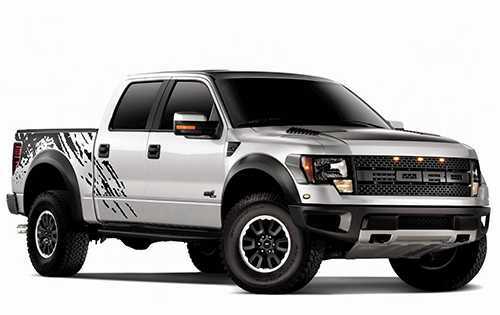 Ford F-150 Raptor SVT is seven inches wider than the regular F-150 models. The Internal triple-bypass shocks by FOX Shox gives a change of position-sensitive damping and reduction of additional off-roading and extreme locations. Silver has now been added the the colour choices as well as revised graphic packages on the Raptor for 2011. No surprise here. 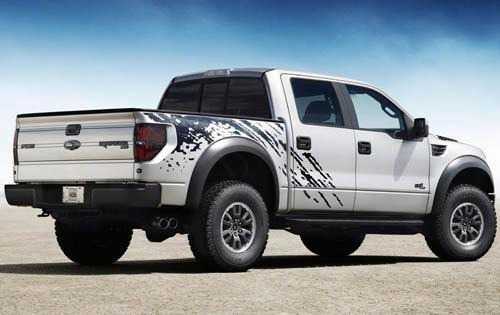 Ford has officially confirmed that a four-door SuperCrew version of the F-150 SVT Raptor super off-roader will be available for 2011. It's Ford's response to buyer requests for a truck that's roomier than today's SuperCab model. 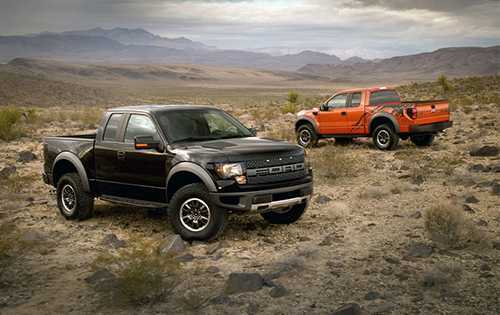 Ford hopes that a crew-cab Raptor will add to the slightly unexpected sales success of the current truck. More than 7,000 orders have been placed for existing Raptors, and the average time a Raptor spends on a dealer lot before it sells is only six days, according to Mark Grueber, Ford's marketing manager for the F-150. 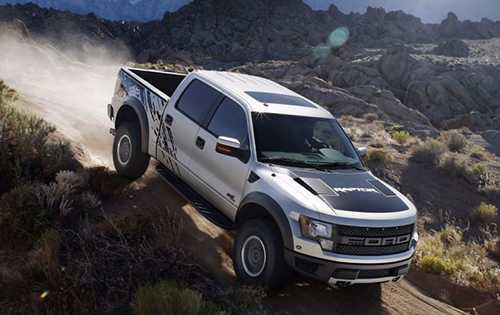 The extra weight that the Raptor SuperCrew carries over the short-wheelbase SuperCab configuration requires a stout motor, so it will only be available with the new 6.2-liter V-8 that's rated at 411 horsepower and 434 pounds-feet of torque.